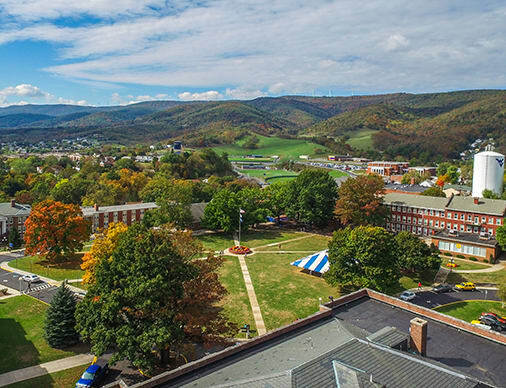 Potomac State College of West Virginia University has raised $ 4,825 from 19 gifts! Be the difference! For 24 hours during the second annual Day of Giving you will have an opportunity to have a positive impact on the students and entire campus community at WVU Potomac State College. By making a gift you will be part of a movement to create opportunities for growth and success at WVU Keyser. On the Day of Giving, we ask supporters to make a gift that will positively impact this campus community. The funds listed below give us the ability to support various initiatives, including student support, faculty and staff development and special initiatives. This fund assists us with the greatest need at any time. Annual gifts to this fund support student success, student experience, faculty development, program enhancements and campus improvements. This fund directly affects students who need financial support to access a quality educational experience. Over the years, this fund has benefited students who otherwise may not have had the chance to attend WVU Keyser.